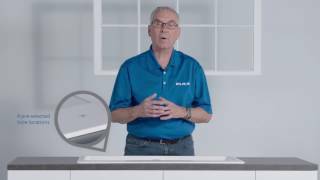 The Elkay ELXH3322RCN0 is an excellent choice as a highlight in your kitchen. 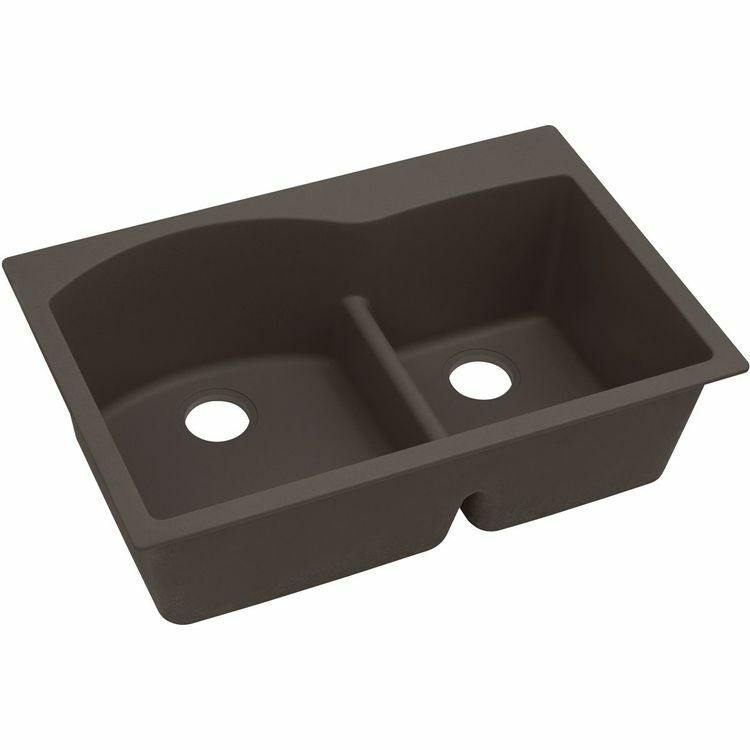 Made from a heavy-duty material, this rectangular sink can withstand daily rough and heavy usage. 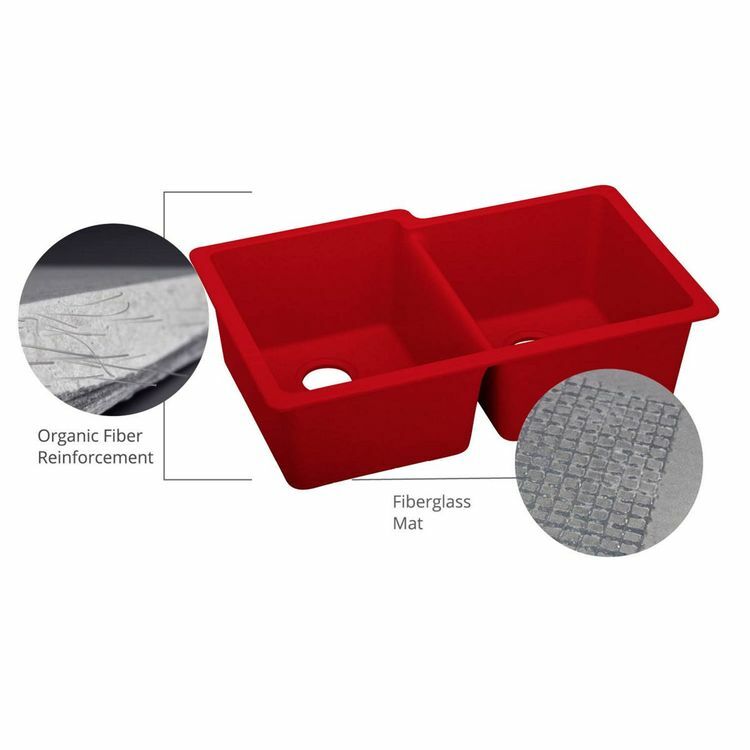 It is made from natural quartz with high-performance UV-stable acrylic resins. 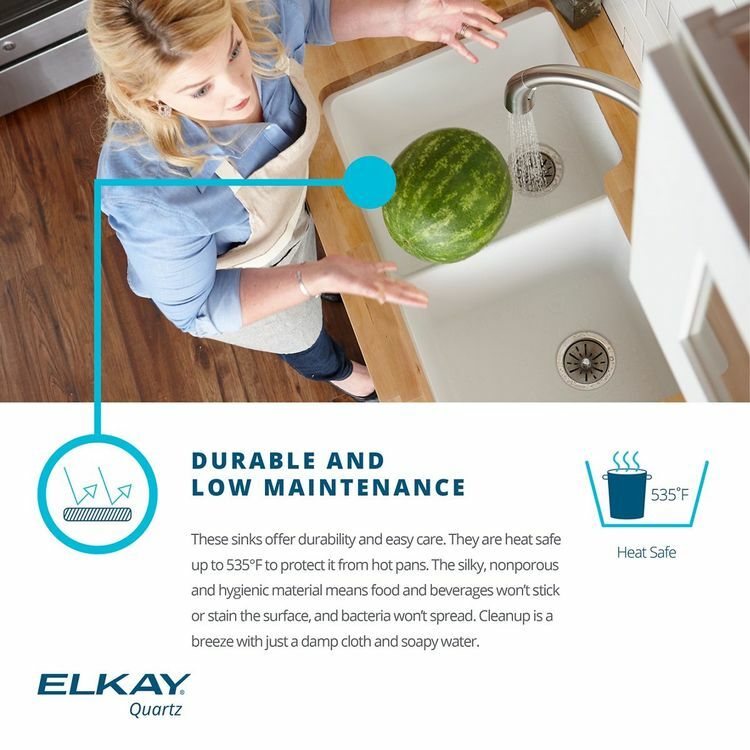 Elkay used a patented manufacturing process that combines the materials with a patented webbing and embedded organic fibers. 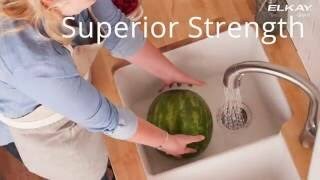 The sink is designed for a top mount installation. 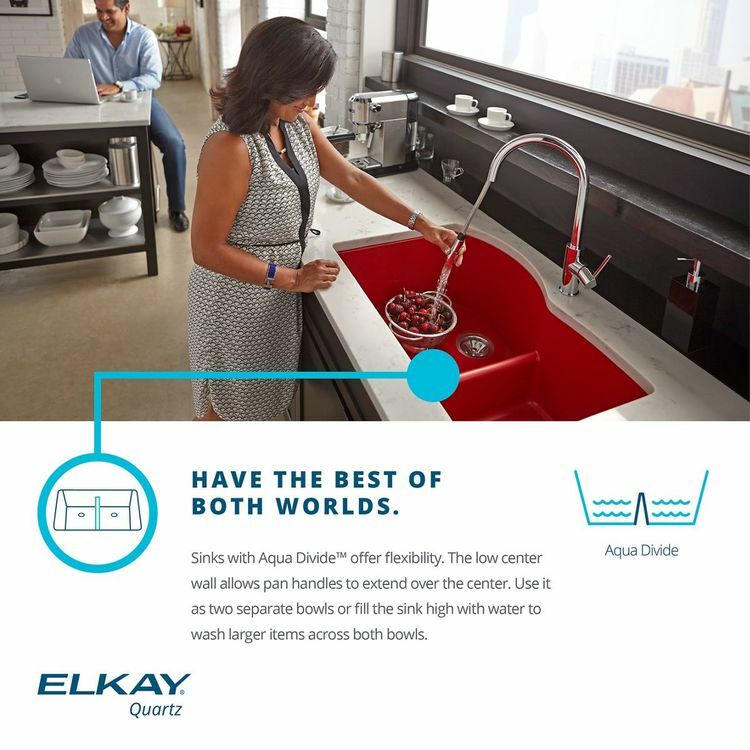 This natural quartz sink features the Aqua Divide, a low center divider that allows room for large pans and for washing dishes while drying them at the side all at once. 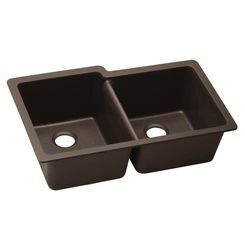 Because of the low divider, both bowls can be used to wash one large item. 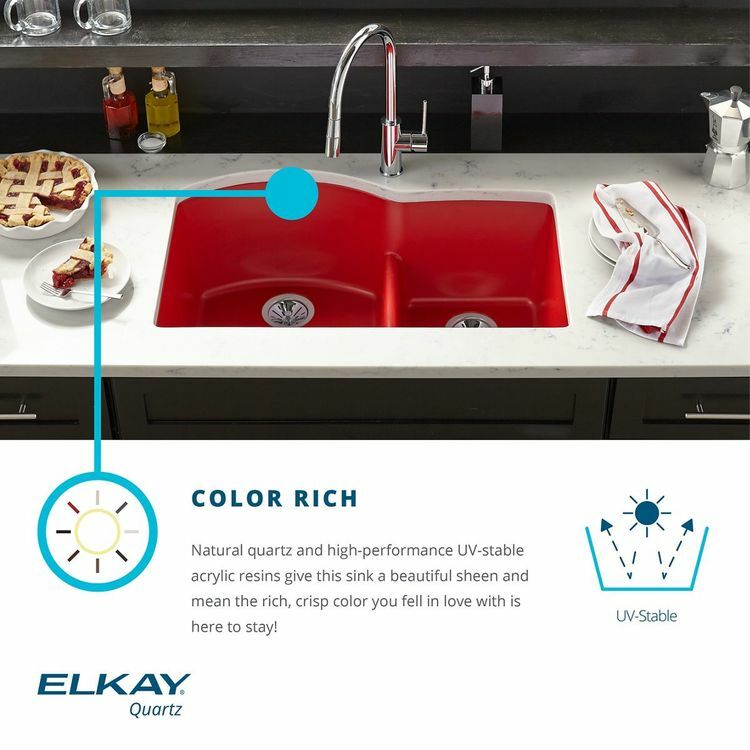 This Elkay ELXH3322RCN0 double bowl sink is from the Quartz Luxe Collection, designed for durability and functionality. 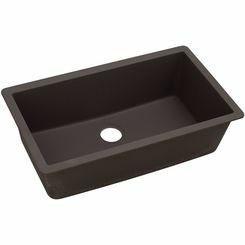 Its overall dimensions are 33" (L), 22" (W) and 10" (D). 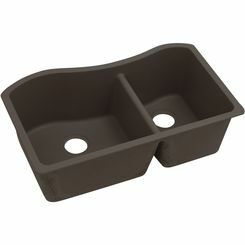 The left bowl is 17-3/16" long, 19-5/16" wide and 10" deep while the right bowl is 13-1/8" long, 16-5/8" wide and 10" deep. 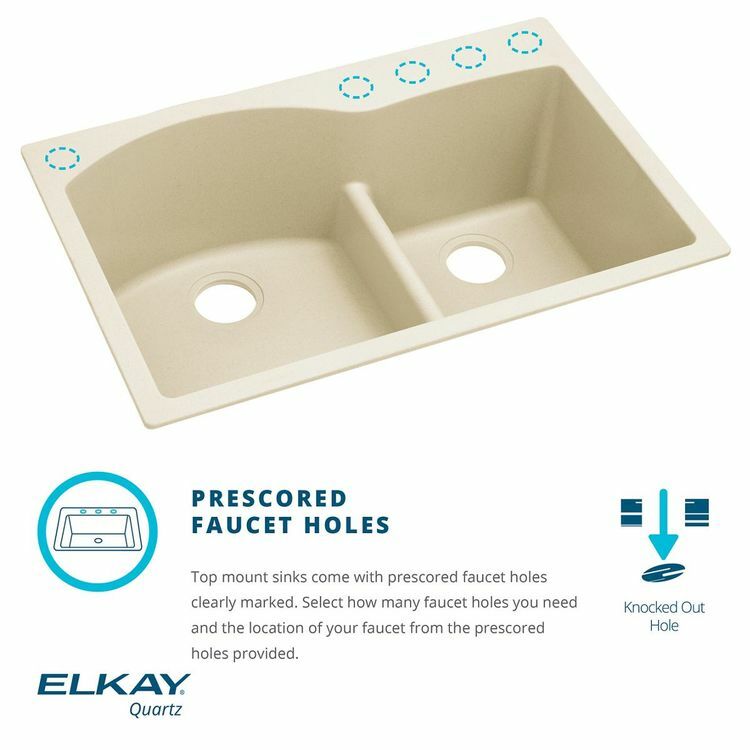 This sink has 4 pre-scored faucet holes for flexible installation. 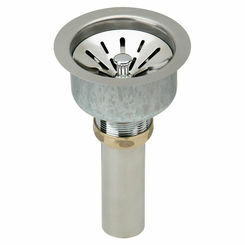 The 3-1/2" drain opening is located at the rear center of the bowl (refer to the specification sheet). 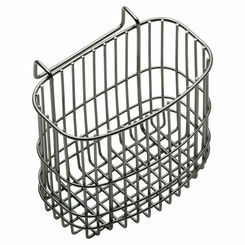 It requires a minimum of 36" for the cabinet size. 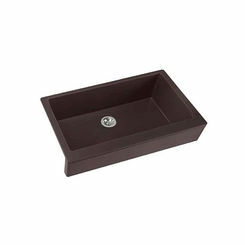 The exposed surfaces of this sink have a chestnut finish and are made from a combination of materials that are non-porous and resistant to impact, heat, scratches, fading, and stains. 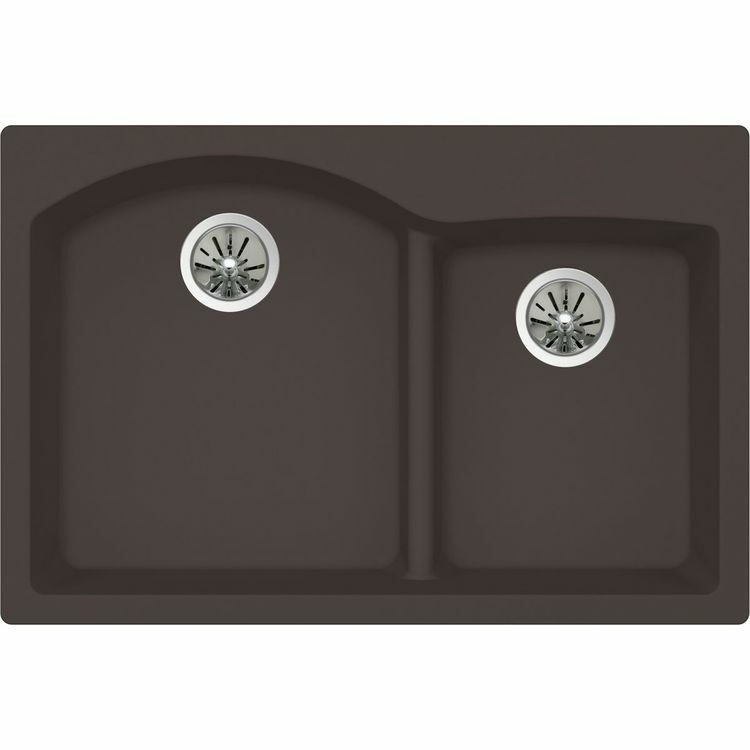 Due to its inherent materials, the sink is naturally sound-deadened. 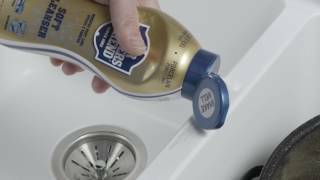 It is also available in other colors: Caviar (CA), Charcoal (CH), Maraschino (MA), Parchment (PA), Ricotta (RT), Jubilee (JB), and Silvermist (SM). 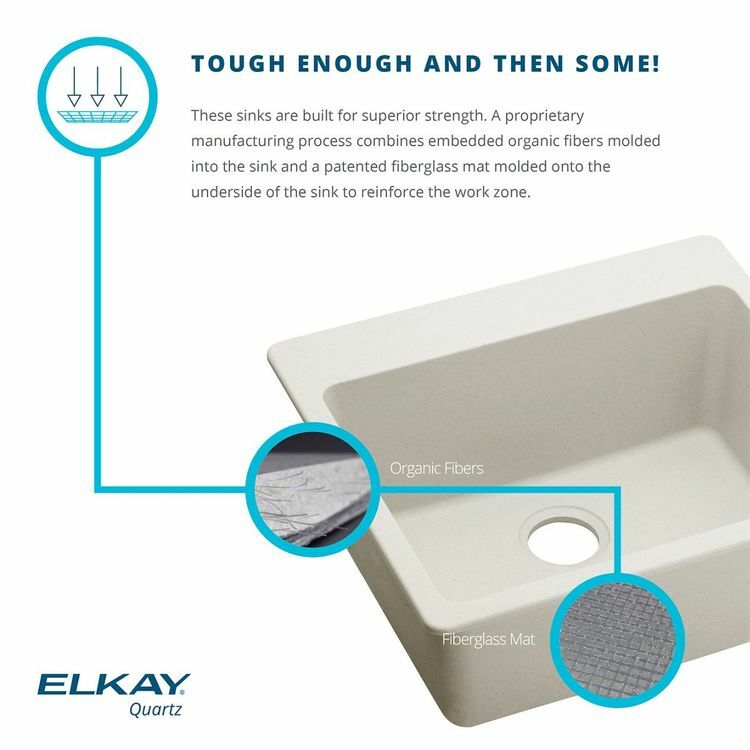 For further efficiency, you can also order these Elkay accessories: the LKOBG1618SS (left bowl) and LKOBG1115SS (right bowl) bottom grids, the LKQS35, LKQD35 and LK99 drains, the LKGT3031, LK6000CR and LKEC2031 faucets, and the LKGT1054 soap dispenser. 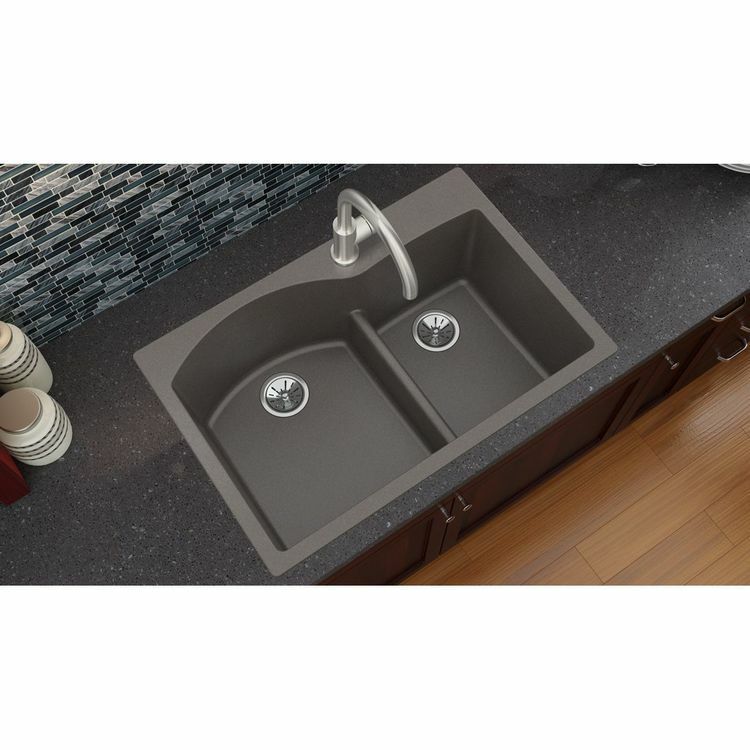 This Elkay ELXH3322RCN0 Quartz Luxe sink complies with CSA B45.5 / IAPMO Z124 and is listed by the International Association of Plumbing and Mechanical Officials as meeting the requirements of the Uniform Plumbing Code and the National Plumbing Code of Canada.  It is made in the USA and covered by a Limited Lifetime Warranty by Elkay, a trusted leader in the industry.